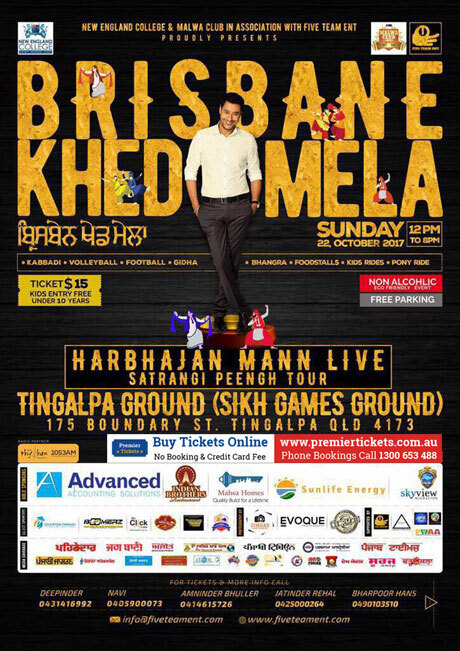 First time HARBHAJAN MANN open LIVE concert in Brisbane Khed Mela 2017. Event organised by FIVE TEAM ENT. Brisbane Khed Mela 2017 is a sincere effort to bring the Indian community together to celebrate the joyous. Brisbane Khed Mela 2017 are also a great way to showcase Indian culture to the new generation who are away from their roots and help them understand and witness the traditions of the most glorious Indian festival.